Jurassic World, directed by Colin Trevorrow is a film with a wealth of issues. Issues that not only harm the pacing and structure of the film, but ones that make a distasteful imprint upon the original film and overall left me with an angered and frustrated feeling from beginning to end. In a continuation of the Jurassic Park story, this film follows on from the poorly constructed Jurassic Park 3. This time around the park is now fully operational and has been for some time. With attendance down and the need for new attractions to entice new customers, the decision is made to make a new and very dangerous dinosaur hybrid. The result is the Indominus Rex, a dinosaur so beyond its expectations, it quickly begins to cause untold havoc upon the very populated park. It’s difficult to know where to start when it comes to my dislike of Jurassic World. This is a film that seems to make an almost deliberate effort to stomp upon the brilliance of the original, while also completely erasing whatever was unique, and very important within Jurassic Park. Gone are the philosophical discussions of what humanity was doing on the island, with its attempts to play God, also gone are the long drawn out tense filled scenes as we awaited our first glimpses of what was lurking beyond the trees. Instead, in its place are asinine action sequences, bolstered by ridiculous set up, and almost all of which are nonsensical and most of the time eye roll worthy. What might harm Jurassic World the most is the complete disregard for strong, interesting characters. While Chris Pratt, who plays Owen Grady is his charming and witty self at points in the film, he is unfortunately let down by having to play a paper thin character. There is nothing stand out or memorable about Owen Grady, he is instead an afterthought, much like every other character in the film. Jurassic World populates its film with one dimensional, annoying and deeply uninteresting characters. I could list off why the characters from the original where so great and fun to watch, but I don’t need to, you know yourself why they are. What I can assure you of though, is that if in a few months from now you were asked to list off some of the more memorable points of the characters in this film, you’d struggle a lot. Perhaps the character that annoyed me the most in the film was the other lead, Claire Dearing, played by Bryce Dallas Howard. Now this is in no way a knock against the actress who does a fine job of working with what she had. It is the character itself who is structurally as a character, baffling to have in the lead of a film of this size. To put it bluntly, she is a really unlikeable character and no level of development ever made her a person who I wanted to support. She for a large majority of the film is the type of person who you’d want to avoid, and because of some lazy script developments, we are all of a sudden supposed to be on her side and believe she is a changed person. The frank laziness with this character really soured my time with the film and made parts of it increasingly unenjoyable to watch. There are also the two children characters who make up another portion of the films haphazard story, but if the film isn’t going to give the proper time and attention to growing them into characters that make you want to follow them along, then I see no need to waste yours or my time talking about them. They are there to fill specific spot within the film and it doesn’t work. What might be Jurassic World’s biggest failing is an amalgamation of Vincent D’Onofrio cliché bad guy character and his plot to turn dinosaurs into military weapons. Once again D’Onofrio does a fine job acting, it is his character that is noticeably by the books and under developed. The character is so one dimensional, that he never adds anything to a story that is already lost, but it is his unnecessary and confusing plan with the park and the dinosaurs that not only harms the film the most, but makes things go from silly summer blockbuster film, to a cringey B-movie. Jurassic World throws so much into the pot and never stirs any of it up properly, in the end your left with half cooked ideas, all of which don’t meld with one another. It all becomes a ridiculous, frustrating mess. 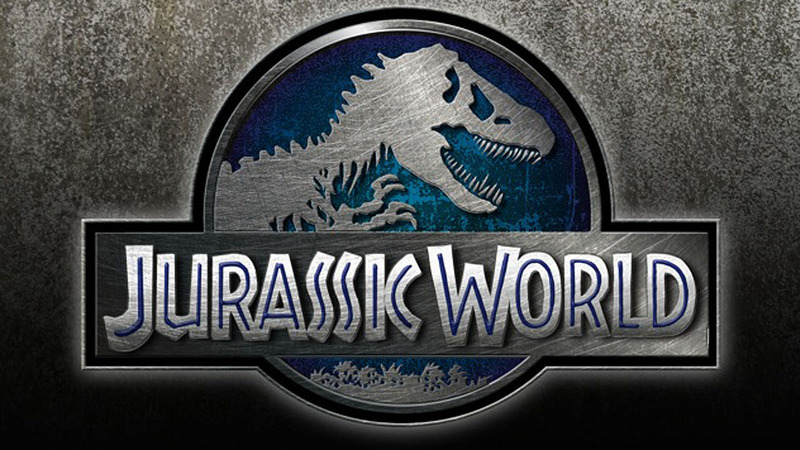 So of course with a Jurassic … Park … World? With this specific film series there has to be the talk about the dinosaur aspect of the film. Continuing with my bluntness when talking about this film, it was dumb. Jurassic World takes the tension and the child like wonderment of seeing dinosaurs on the big screen and turns it into a brainless, loud, CGI mess. There is a particular part at the end of the film (no spoilers of course) that was so idiotic, I was tempted to stop watching and pretend it didn’t exist. This film takes the subtle brilliance of how dinosaurs where handled in the first film, and to some extent the second, and stomps all over it. Diving a little more into how poorly this film handles the franchise. There is a particular moment in the film (once again, no spoilers) where everything has gone wrong and people’s lives are in great danger, it is at this point the film thinks it is appropriate to cut to a character who has had absolutely no development and then begin to follow her as she is slowly attacked, tortured, and then killed by multiple dinosaurs. Now this isn’t me being squeamish, I just felt that the way it was done was not only unnecessary but very poorly handled. It was things like this in the film that kept turning me off to it, and in the end left a very uncomfortable and slightly angered taste in my mouth. I suppose the last thing I will touch upon is something that has split fans of the series since it was revealed to be the main aspect of the plot in the film, that of course being the Indominus Rex. Finding the whole blunt thing to be working for me so far, I’ll get straight to the point, it was stupid. They’ve tried this before, twice in fact. Structuring your story around one big dinosaur chasing people all over the island is just not interesting. The addition of the Raptors couldn’t even help the story line; it actually just made it even dumber and more confusing. To summarise the Indominus Rex thing, go back to the drawing board. If you’ve read this review you’ll probably have noticed by now that I didn’t like this film. I tried to find parts of the film that I liked, and maybe the films little nostalgic nods to the original were nice goose bump inducing moments, but even these were quickly ruined by the mess of this film continuing to shout at me with CGI silliness. In the end Jurassic World failed at almost every way of trying to be a Jurassic film. Is it the worst? Well nothing is as bad as Jurassic Park 3, but this film certainly gives it a run for its money. I would in no way recommend Jurassic World, this film has nothing of worth to add to the series. Instead go watch the original, hell maybe even watch the first two acts of ‘The Lost World’. Just don’t waste your time with Jurassic World.